Opposition parties in Kosovo have demanded early parliamentary elections. The head of the Democratic League for Kosovo parliamentary group, Avdullah Hoti has demanded the formation of a broad based government which will prepare the new elections. 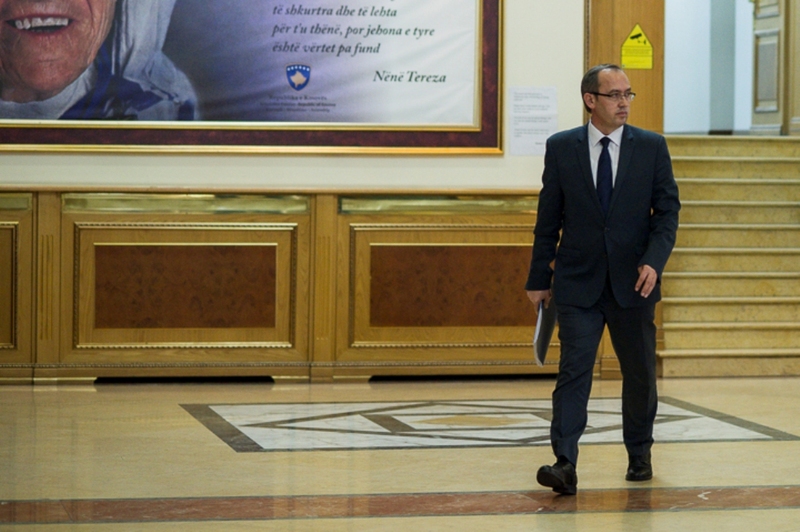 “Given that the current institutions have no political legitimacy to represent Kosovo in the dialogue with Serbia, then there are two options: the first is to resume dialogue once legitimate institutions are elected, while the option is to form a broad based government, which will finalize dialogue and prepare the country for fresh elections”, Hoti said. The opposition’s representative said that Kosovo’s territorial integrity should under no circumstances be negotiated. “Kosovo cannot enter into bargaining for its territory. On 17 February 2008, Kosovo’s MPs proclaimed independence. This decision was also upheld by the International Court of Justice, which has concluded that Kosovo’s independence has not violated any international laws”, Hoti said. The other opposition party, Self Determination has also stressed that only a legitimate government can engage in dialogue with Serbia.